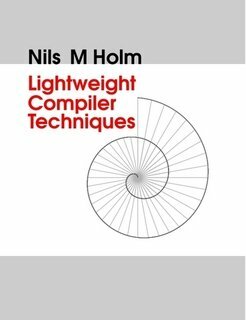 Although compiler construction is a well-studied part of computer science, there are only few books that cover both theory and practical compiler crafting in-depth. This book is here to fill this niche. It explains compiler construction in simple terms and by means of practical examples, but without avoiding the fundamental theory. It does not stop where other books do, and takes you on a tour through the whole compilation process. This manual documents the internals of the GNU compilers, including how to port them to new targets and some information about how to write front ends for new languages. It corresponds to the compilers (GCC) version 4.4.0. This is a very hands-on approach to crafting a compiler and it does not follow any pre-defined set of rules. It is the author's intent to take some of the mystery out of what goes into making a working scripting engine - compiler.